Marine Parks are nothing new. Australian governments, both Liberal and Labor, have been rolling them out for years. 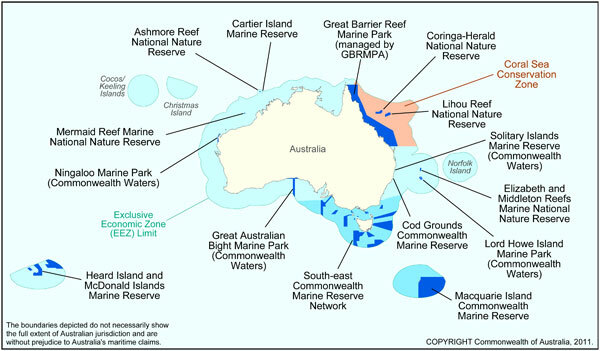 Here’s a list and map of Australia’s Marine Parks before the most recent new reserves were proclaimed on 16 November 2012. For Australia’s recently proclaimed marine reserves see the ‘Maps’ section of this site.